Cushendale grey bouclé mohair scarf, soft and warm. 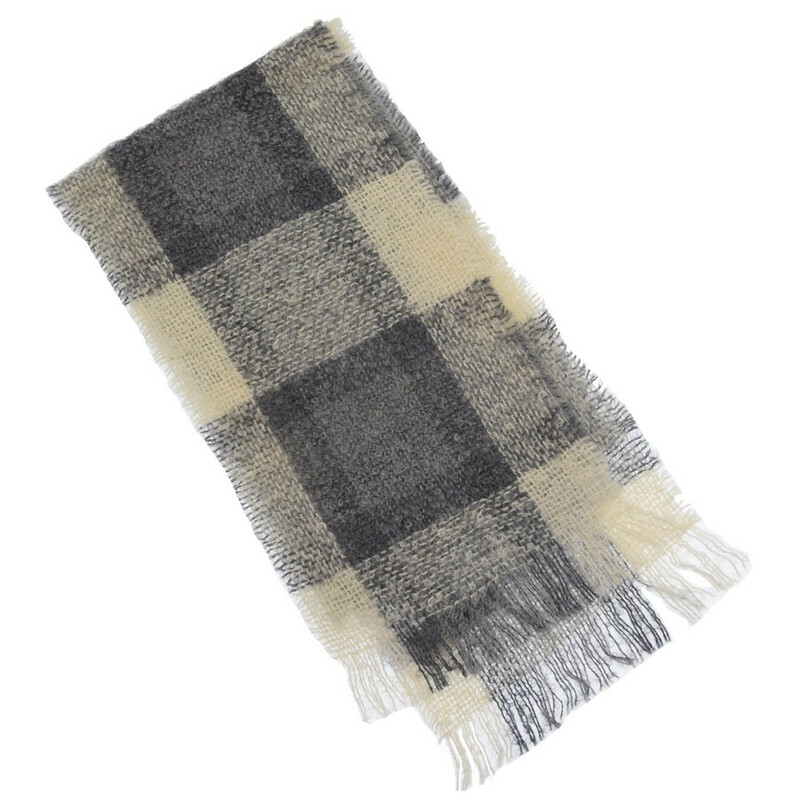 Compliment your outfit with this warm and cosy grey boucle mohair scarf by Cushendale. Made in Ireland with natural fibres. Size: 20 x 180 cm. Cushendale Woollen Mills prides itself to be a family-run business, keeping the tradition alive under the direction of Philip & Mary Cushen. In 1204, the Cistercian monks, having discovered the pure water quality of the River Duiske, built a monastery and mills in Graig-na-mangh, in Kilkenny County, Ireland. The monastery prospered with wool exports, to become their largest Irish foundation – Duiske Abbey. In time, the small time of Craig-na-managh - “the monks’ village” grew up around the abbey and its mills. The mid 1600’s saw the arrival of immigrant weavers in this region, bringing with them the Flemish tradition of woollen fabric production. 200 years laters, in the 1800’s, one of their descendants, Patrick Cushen, presenting himself as a woollen manufacturer, produced wool from a mill in the town. Through good fortune, his son Philip and his family were able to purchase one of the original abbey mills in 1925 and gain access to improved water quality for washing and dyeing processes. With the help of skilled and experienced staff (Jim, Bernie, Shelia, Kathleen and Beata), wool production continues to be a vital part of Craig-na-managh’s village life, 800 years since the first monks came in the village.